In December 2014 a message popped up on my laptop from Andrea Girolami, Enzo Castellari's son. 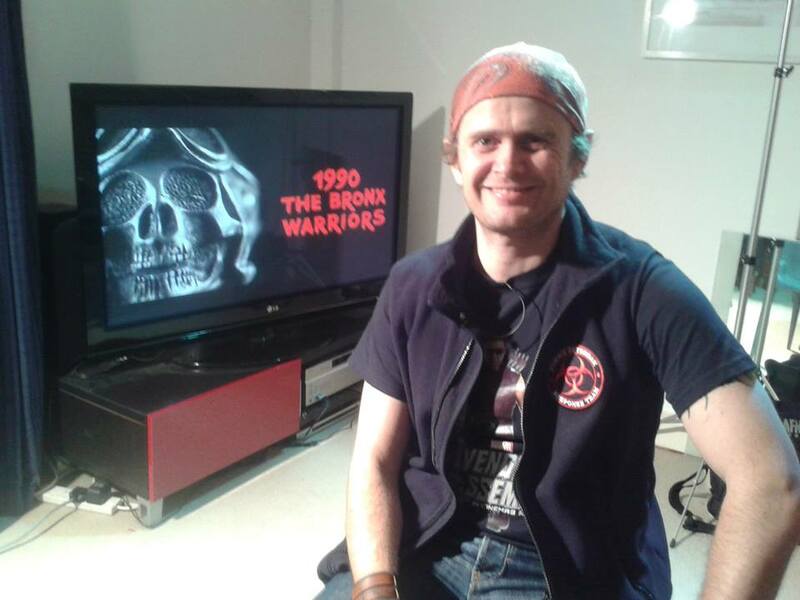 Without much preamble he told me that they'd just completed new audio commentaries for the Blu Rays of Bronx Warriors and Escape From The Bronx. 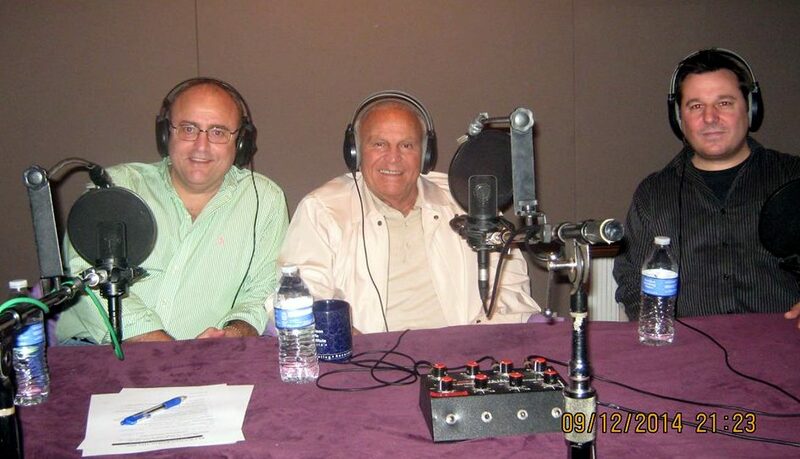 He then added that me and this website got discussed "ALL THE TIME" during the recordings. Over the moon about this I thanked him profusely and he suggested I get in touch with the moderator for the recordings, a chap named David Gregory. Within a day of messaging David, he got back to me saying he'd been trying unsuccessfully to get in touch over the last 6 months (turned out the email link on the old site wasn't functioning) and would I like to be interviewed for a special feature for the Blu Rays? Well, does Trash walk in a funny way? What could I say? A month later I travelled to visit a colleague of David's in rainy London for an hour long interview where we discussed the Hunt For Trash; the first time I saw Bronx Warriors at age 13; and the enduring appeal of both movies. My YouTube footage, in all its pixelated glory was used too, covering my intermittent searches for the elusive Mark Gregory, who vanished into the ether circa 1989. 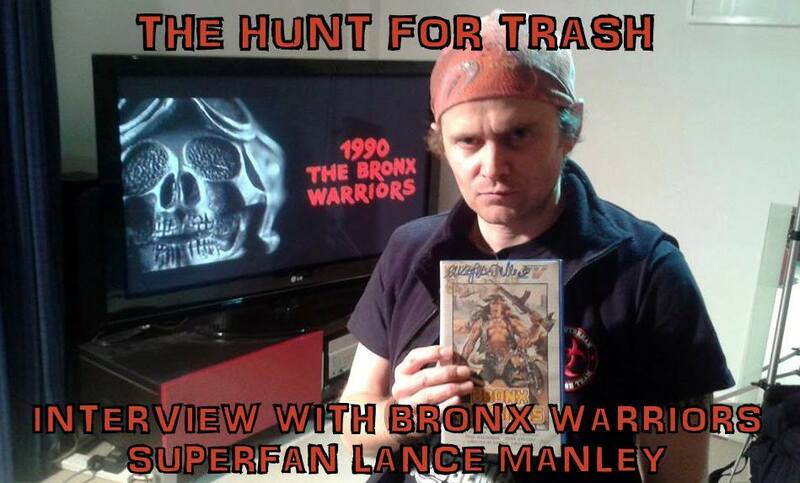 The final edit of this is a 13 minute documentary on the bonus features of Escape From The Bronx called "The Hunt for Trash: Interview with Bronx Warriors Superfan Lance Manley". 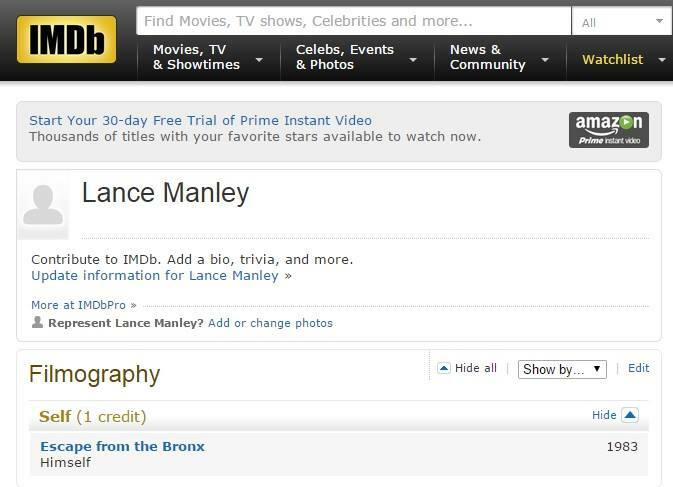 I also got an entry on IMDB as a result.